Dr. Gloria Esegpona and Dr. Elena Greco, both from England, visited CCH to explore the possibility of establishing a Maternal Health Care Training Program at our facility. During their visit, Dr. Greco demonstrated our new Ultra Sound Machine to our key medical staff. The new scanner was donated by Mariella an Mino Cantamessa in loving memory of their daughter – Dr. Eleonora Cantamessa – who was tragically murdered last year while providing medical care to an injured person on the road. May God bless Dr. Cantamessa for her dedication and sacrifice to help others in need. May her soul rest in Eternal Peace! 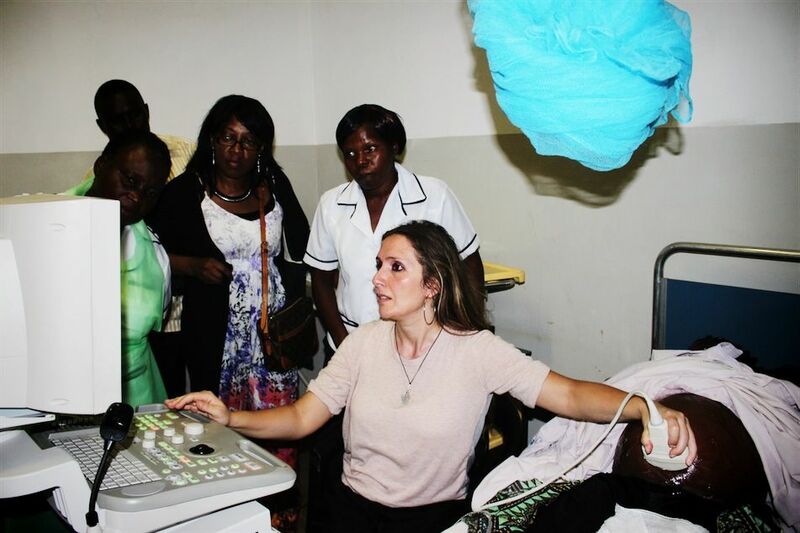 This entry was posted in Health Care, News from Malawi and tagged Andiamo Youth Cooperative Trust, Dr. Eleonora Cantamessa, Orizzonte Malawi Onlus. Bookmark the permalink.